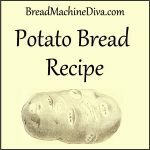 What Yeast Do You Use in a Bread Machine? Are you wondering what sort of yeast to use in your bread machine? You’d be surprised how often I get asked that question. 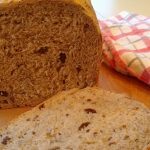 The short answer is that I’ve been using Red Star active dry yeast in my bread machine for years. I don’t proof it, I just add it dry to the bread machine pan. It works great. If you’d like more detail, let’s start by talking about what yeast in general. It’s what makes bread rise. Yeast is made up of small, single-celled organisms that eat simple sugars and give off carbon dioxide and alcohol. The carbon dioxide it gives off is in the form of tiny bubbles that makes bread dough expand and stretch. Take a look at the instructions that came with your bread machine to see what sort of yeast is recommended. 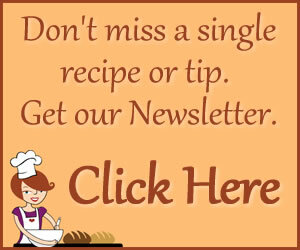 The three most common types are bread machine yeast, active dry yeast and rapid rise yeast. Some bread machines, but not all, require that the liquid be heated to a certain temperature before being added to the bread pan. My Zo has a preheat cycle. So I just put the liquids in the bread pan and the machine takes care of heating everything up the the correct temperature before it begins the first kneading cycle. In terms of actually placing the ingredients in the pan, most bread machine manufacturers recommend that yeast be placed in a sort of nest in the bread machine pan. 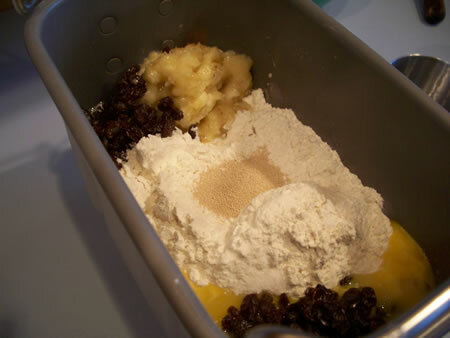 Here’s a picture of how my bread machine pan looks when I’m making Banana Raisin Bread. See the yeast nestled in the flour? 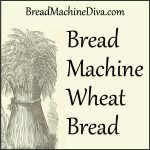 Bread machine yeast is specifically made to do well in bread machines. It can be directly added to the dry ingredients in your machine. I actually thought I was using bread machine yeast for years, but nope. It was active dry. I wrote a post about the big, yeast mix-up. 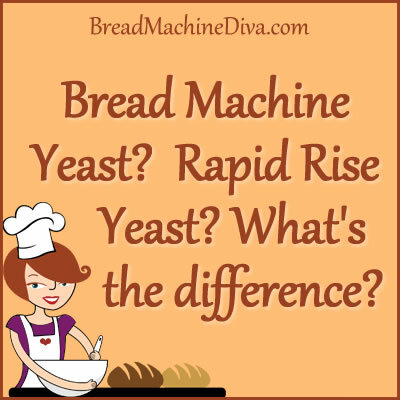 Rapid rise yeast is more finely ground than regular bread machine yeast. Its smaller size enables it to get a jump start on making carbon dioxide. 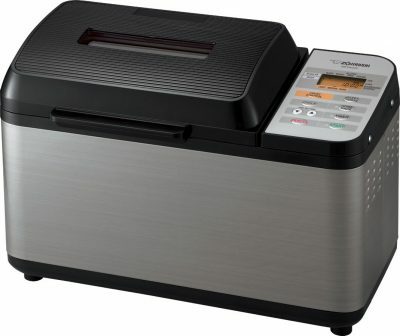 Many bread machines (including my Zo) come with a quick or rapid cycle. Use the quick/rapid cycle, along with rapid rise yeast, to make bread or dough more quickly. An important point is that unless specified by the yeast manufacturer, bread machine yeast and rapid rise yeast are not directly interchangeable. 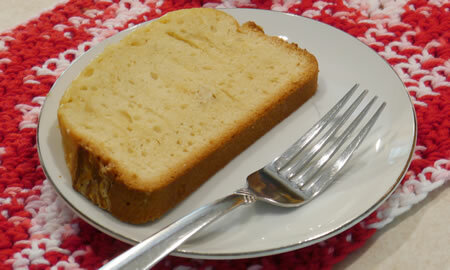 Here’s an example, my sour milk bread recipe, calls for 1 and 3/4 teaspoon bread machine. However if you want to use the quick or rapid cycle, you’d use 3 teaspoons rapid rise yeast. What About Active Dry Yeast? Historically, active dry yeast needed to be dissolved in water before using. This is called proofing. Changes in the manufacturing of active dry yeast enable some brands of active dry yeast to be used interchangeable with bread machine yeast. In other words, some brands of active dry yeast can be used in the bread machine without being proofed. This is the case for the Red Star brand of active dry yeast. I buy my bread machine yeast at Costco. It comes in a large package that I transfer into two glass jars once I get home. I keep both of the glass jars in the refrigerator. I buy rapid rise yeast at the grocery store. Again, I put the jar in the refrigerator after opening it. I use SAF Instant Yeast- Red Package. I have used it for over a decade, both in the bread machine and mixer made dough. It stores well in the freezer. I have used it way past date. I see SAF Instant Yeast has a Gold Package now. It is pricier. I read the “Gold” version is just a more resilient strain of yeast. It survives better and will make your dough rise in harsher recipes like extra sweet or gluten-free. I looked at the yeast available to the folks in the UK and I see why you’re confused. Yikes! I thought it was confusing in the US!! Judging by this article from the BBC I’d recommend “powdered (or ‘easy-blend’ or ‘fast-action’) dried yeast which is sold in sachets and just sprinkled straight into a bowl of flour.” That’s the equivalent of the “active dry yeast” that I recommend for use in the United States.